I'm goin' down to South Park, gonna see if I can't unwind. That's exactly what I did in your first look at Modojo with South Park: Phone Destroyer. I saddled up, created my character, FaceTimed with Cartman, and journeyed into a madcap world of hilarity with South Park's latest mobile game. 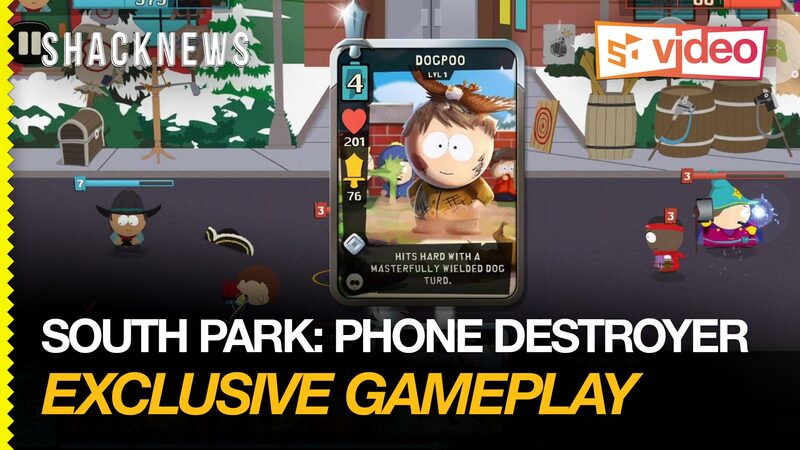 Unfortunately the newest South Park RPG South Park: The Fractured but Whole isn't out until next month, but if you're jonesing for something to play between new episodes of the show, you can't go wrong with this silly card-based free-to-play title that doesn't destroy your phone, but could very well destroy all your free time. A playthrough of the first couple of missions and tutorial levels can be found in the clip below.